Cell cycle analysis Cell cycle arrest can be performed just by analysing the intensity and condensation of DNA since the intensity of the Hoechst dye depends on the DNA content. 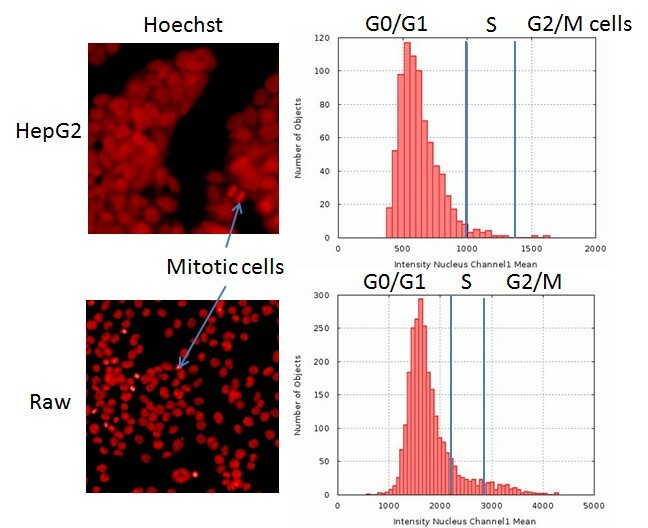 Mitosis cells (4n DNA content) have a doubled dye intensity when compared to G1 cells (2n DNA content). Migration Cancer cells have the property to proliferate and to migrate. Anti-cancer drugs have to stop the propagation of cancer cells. 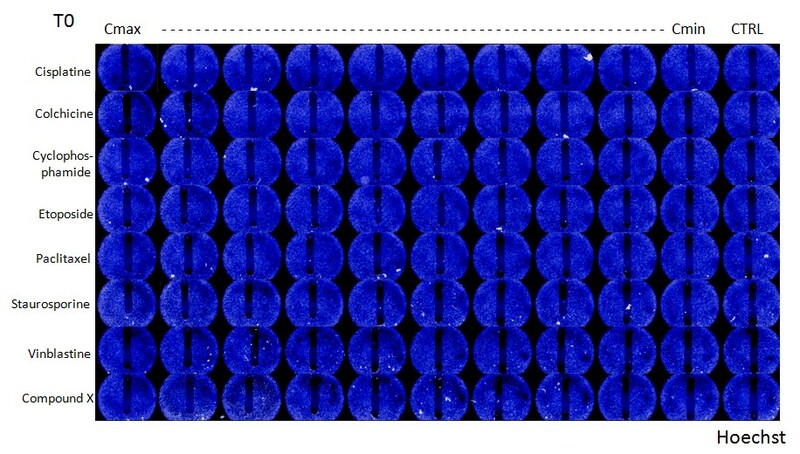 The in vitro scratch assay (also called wound healing) is an easy, reproducble and well-developed method to measure cell migration in vitro. HCS Pharma develops also different assays depending on what you want to follow.